All injecting, regardless of the substance, carries a significant risk of serious infection and other implications including muscle damage and temporary paralysis. Never inject steroids or image enhancing drugs into a vein – it could kill you. Fresh, sterile equipment should be used for every injection. Sharing injecting equipment, water or vials introduces the risk of infection and blood borne viruses (hepatitis B, hepatitis C and HIV). Ensure you have the correct equipment, in sufficient quantities, including sharps bins, from your local needle exchange prior to starting a cycle. Needle exchanges should also be used to obtain good advice on safe injecting, and harm reduction information. Dispose of all used equipment in sharps bins and return to the needle exchange regularly for safe disposal. 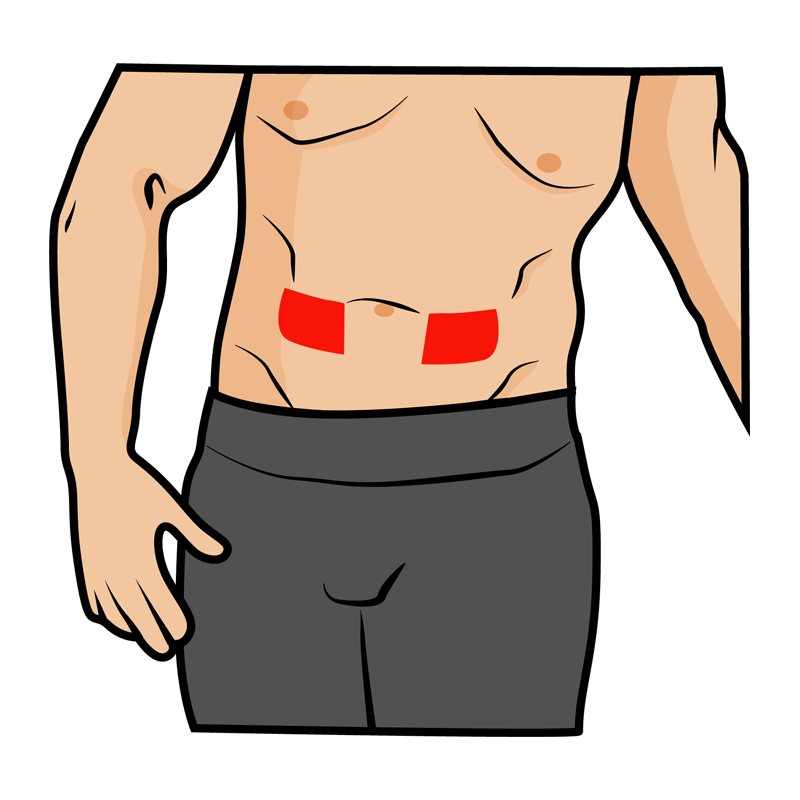 Locations for Intramuscular injections – for all oil or water based steroids – include the upper outer quadrant of the buttock and lateral part of thigh. 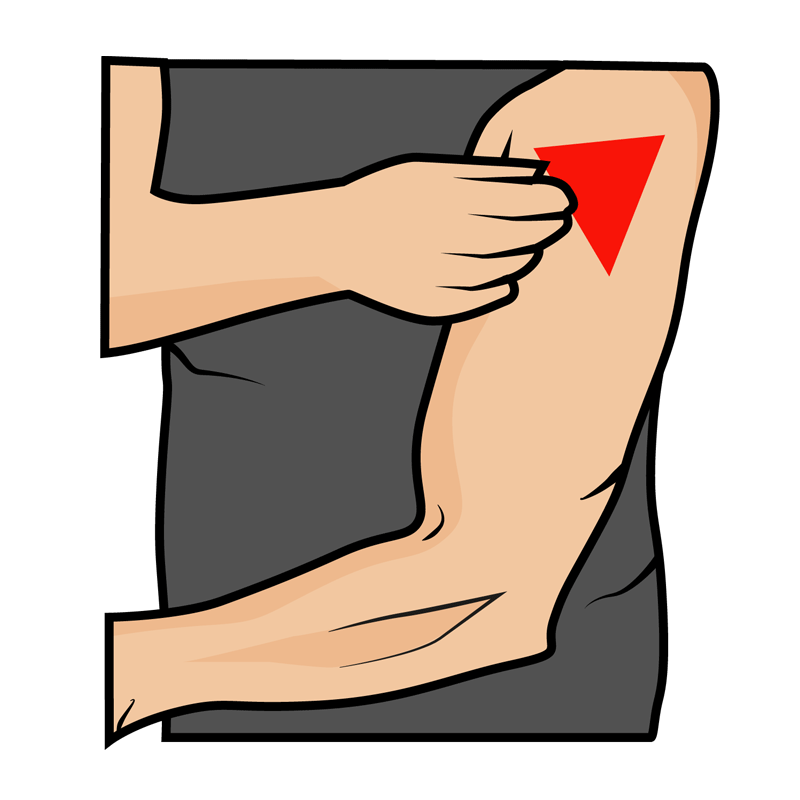 Rotate sites to avoid scar tissue developing and aid the healing of injection sites. Injecting into the Deltoid (upper outer third of the shoulder region) should be a last resort as the deltoid is a much smaller muscle and therefore diffusion of the steroid is reduced and the risk of nerve and other damage is far greater. INJECTING INTO ANY OTHER SITES ON THE BODY IS NOT RECOMMENDED AS THERE IS A GREATER RISK OF HITTING A NERVE OR BLOOD VESSEL AND GREATER RISK OF CAUSING DAMAGE. Do not inject more than 3ml into this site, 2ml is recommended where the muscle is less developed. When injecting oil based steroids ensure the solution is at room temperature prior to administration, either by holding the vial or ampoule in a clean closed hand for a few minutes or by holding under a tap of warm NOT hot water. Insert the needle at 90o. Ensure you leave a small part of the needle showing. IF ANY PAIN IS EXPERIENCED DURING AN INJECTION, REMOVE THE NEEDLE, APPLY GENTLE PRESSURE TO THE SITE USING THE CLEAN TISSUE OR COTTON PAD AND DO NOT RE-INJECT INTO THE AREA. SEEK MEDICAL ATTENTION. When injecting oil based steroids ensure the solution is at room temperature prior to administering, either by holding the vial or ampoule in a closed hand for a few minutes or by holding under a tap of warm NOT hot water. Injecting into the shoulder region should be a last resort as the deltoid is a much smaller muscle and therefore diffusion of the steroid is reduced and the risk of nerve and other damage is far greater. Do not inject more than 2ml into this site, 1ml is recommended where the muscle is less developed.